Evil clowns are so last year, aren't they? 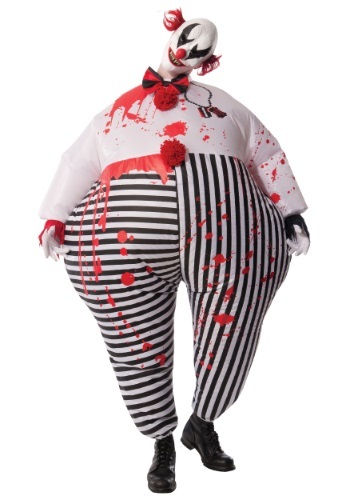 As if we haven't had enough of the whole murderous clown with blood and bright colors, ready to terrify any unsuspecting child and definitely ruin their enjoyment of clowns for a lifetime, if not several lifetimes. Yeah, it's fair to say that at this point, every person on earth is afraid of clowns (and with good reason, too! We're not saying you shouldn't be afraid of clowns. You should most certainly be afraid of clowns at all times!). So what can a person do? How can something that is already scary for everyone be made more scary? It's an age old question, right up there with "What's the meaning of life?" and "Where did I put my keys?" But does anyone have the answer? Yes. Of course. We have the answer! Not to the questions about meaning of life or where your keys are though. Those questions are probably impossible to answer. But we do have an answer on how to make clowns scarier: fill them with air! 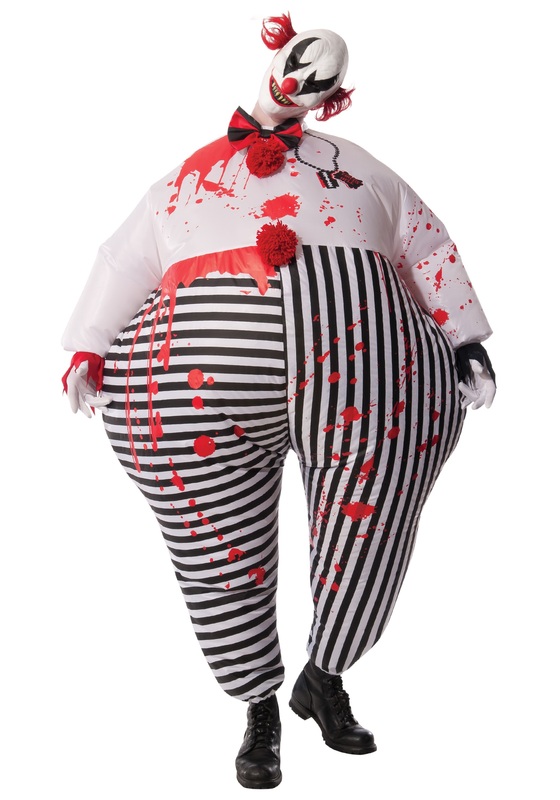 Yes, this giant inflatable evil clown costume will balloon your body in bizarre, unnatural directions, turning your typical evil clown from something somewhat scary to something downright mentally scarring! Before you put this thing on, you'll want to remove all mirrors from your house, lest you catch a glimpse of your visage and scare yourself to death. Then go out into the night and watch as every man, woman, child, and animal runs from you in fear. That's how you out-scare someone. That's how you out-clown a clown!